The Authentic Wick 'N' Vape Cotton Bacon V2.0 is designed with large fibers for low ohm builds and will leave you with minimal dry hits. 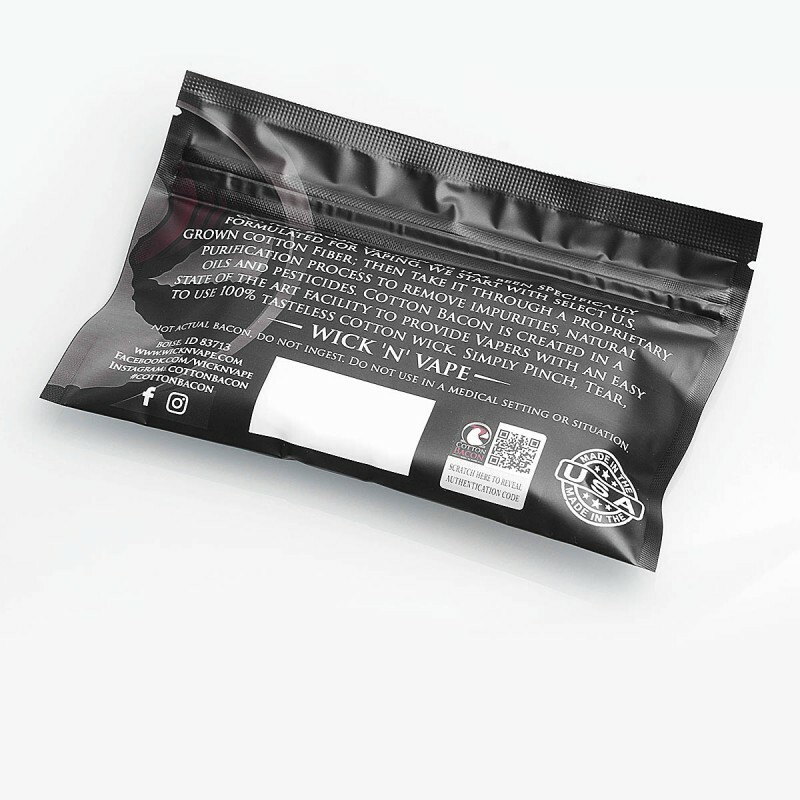 This cotton provides more capacity and clean pure flavor! 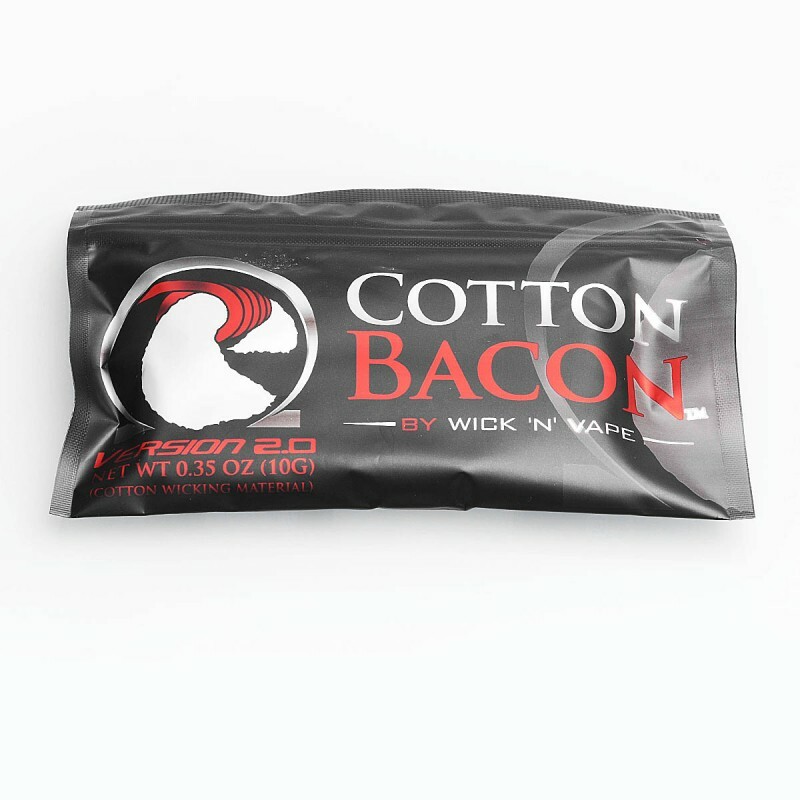 Cotton Bacon V2 is as easy as pinch, tear, wick and vape! 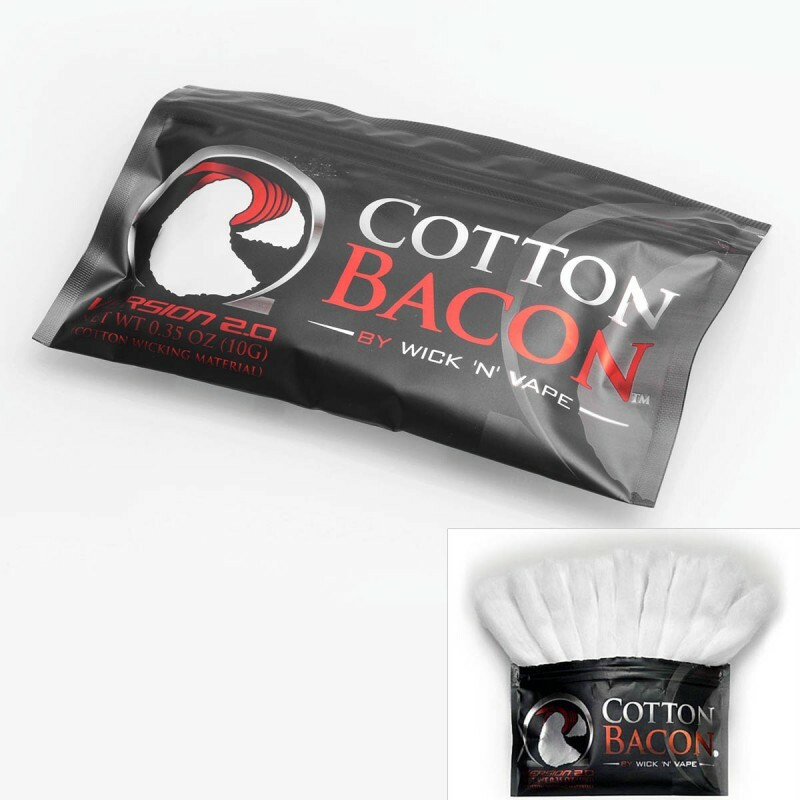 Cotton Bacon is simply comprised of (Bacon) Strips. Just use the amount you need! There comes authentication code on the package. picked up a bag of this cotton on a whim, turned out to be a great purchase. its much easier to work with than Japanese cotton, and it seems to wick much better, very fluffy, requires minimal effort for a perfect wick job.